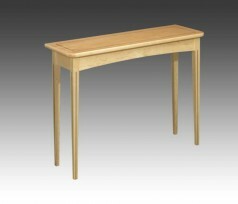 We have made a broad range of tables including boardroom, dining room, bay window and low occasional tables. The pictures here show a small selection. 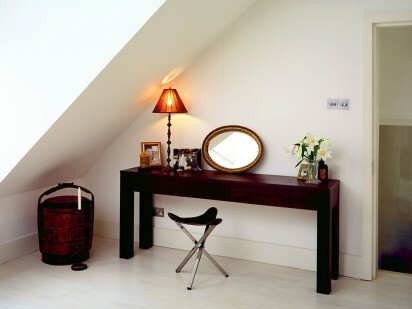 Some are plain and simple, allowing the beautifully selected wood to do the talking, and others feature highly-skilled and intricate inlay and parquetry work. 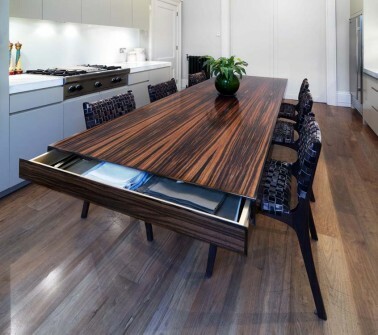 Kitchen table made from Macassar Ebony with maple drawers at either end. 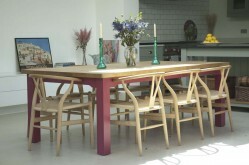 Kitchen Table with a painted under-frame and solid European Oak top. 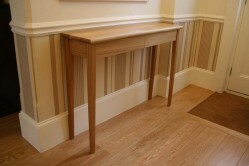 Entrance Hall Table made from solid Oak. 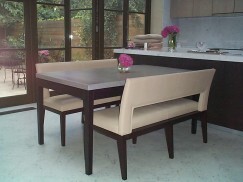 Kitchen Table with a spray-painted top and Oak pedestal. 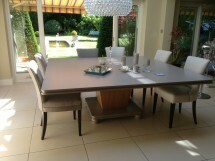 Walnut table base and cast concrete table top. 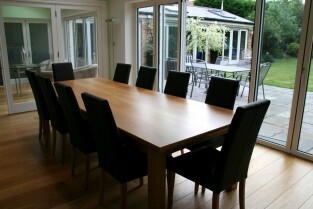 Extending Kitchen Table with Ebonised legs and grey stained solid Oak top. 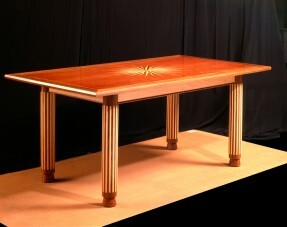 Dining Table with a stained Ash Veneered Top with converging grain pattern. 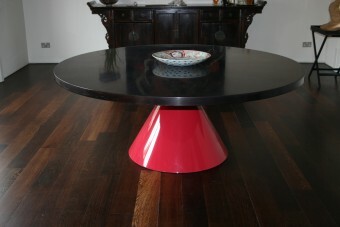 Gloss red pedestal. 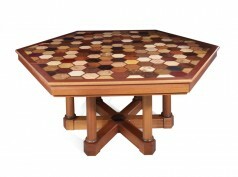 Plane Tree burr table top with parquetry star in Figured Maple and Walnut. 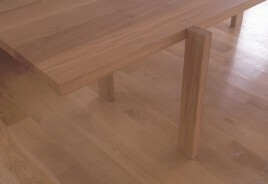 Under-frame from sold American Walnut and Maple. 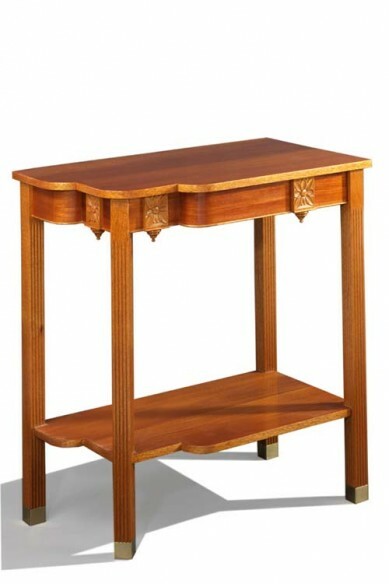 Mahogany Side Table to match. 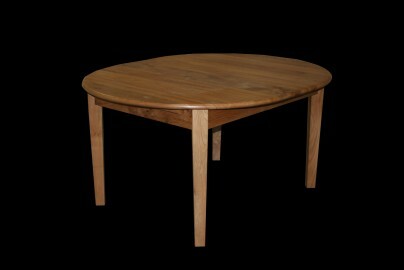 Maple Side Table with Rosewood inlay. 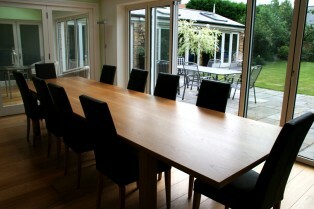 Extending Table made from solid Mahogany. 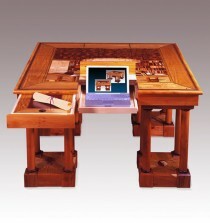 Work Table – designed and parquetry by Cyril Kinsky. Made mostly from Mahogany with internal drawers and ‘pigeon-holes’. 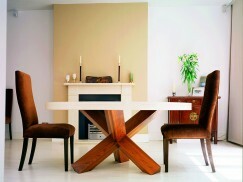 Segmented table leaf support column with rotating trays. 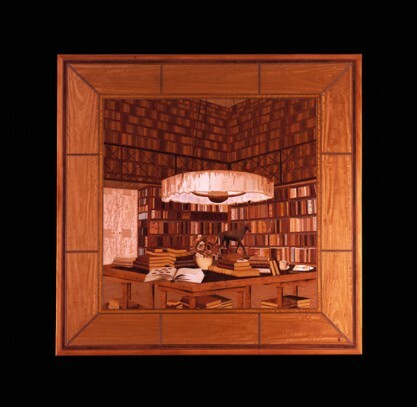 Library Table – designed and marquetry by Cyril Kinsky depicting the same table going in the same library. 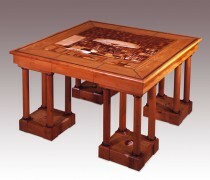 Made from English Yew. 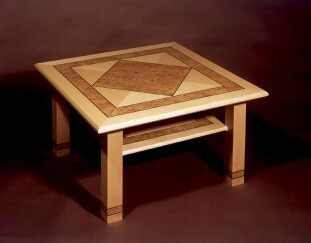 Coffee Table made from Maple, Burr Oak and Rosewood inlay. 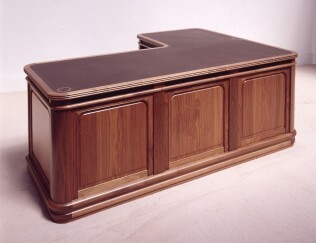 Walnut Desk for Kerry Packers Yacht designed by Martin Grierson. 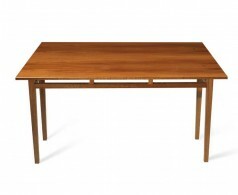 Table made from Indian Rosewood with English Sycamore tapered legs and under-frame. 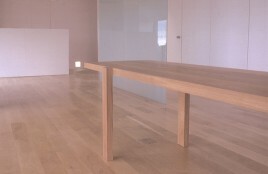 Extending Table made from solid English Elm. 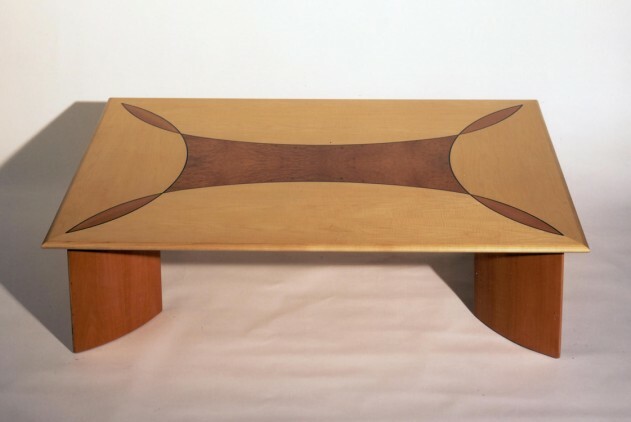 Knee-hole Desk made from Macassar Ebony with red leather table top insert. 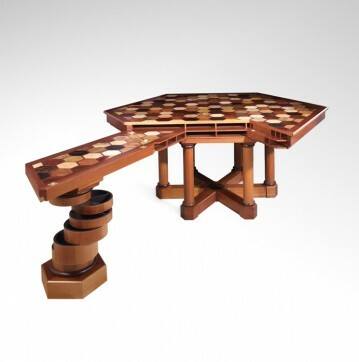 Low Occasional Table made from Figured Maple, Steamed Swiss Pear, Madrona and Rosewood inlay.